Craft Beer & Wilderness Retreat. 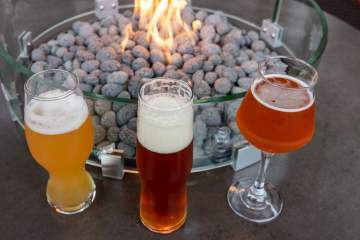 Each part of this title anticipates enjoyable experiences: Craft beer, something for which you presumably have an interest/extreme liking/untreatable obsession. Wilderness, when combined with luxury is an undeniable draw. 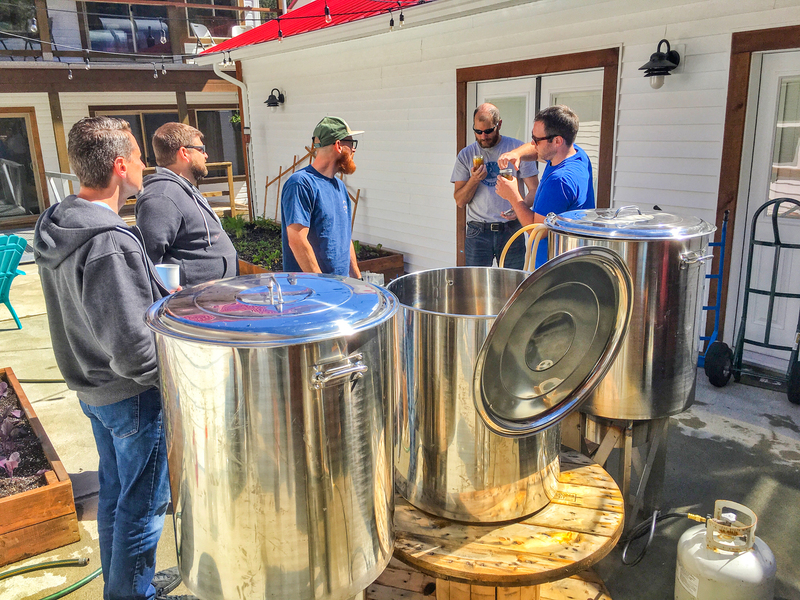 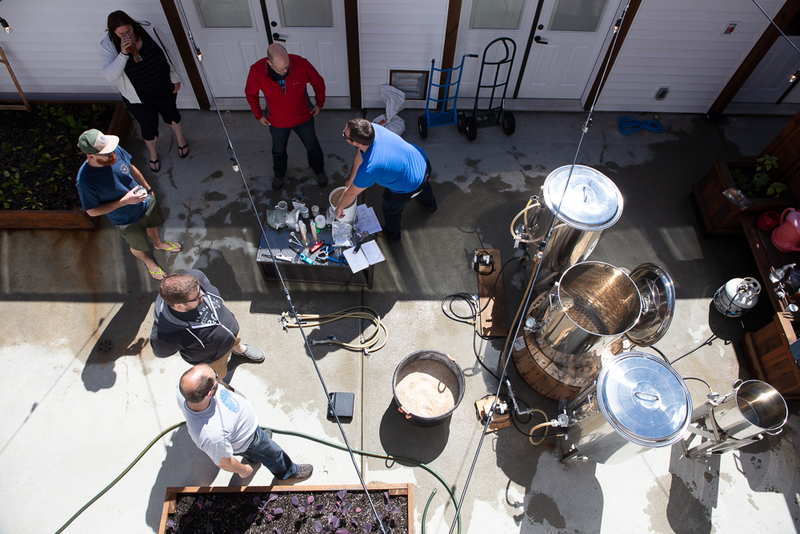 Retreat brings to mind isolation with beer geeks and brew masters – no hardships there at all! 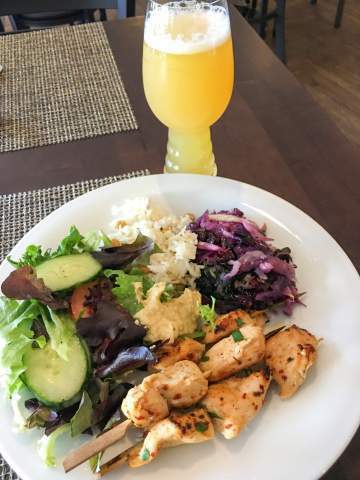 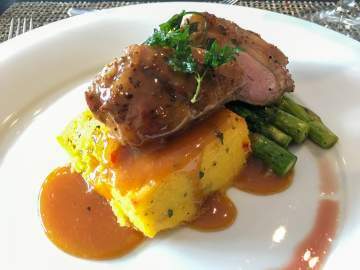 Blended all together they produce an unforgettable experience! 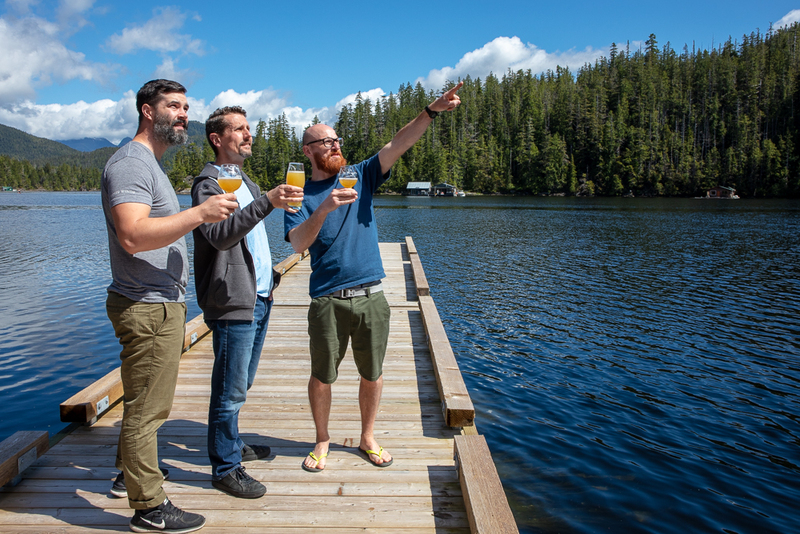 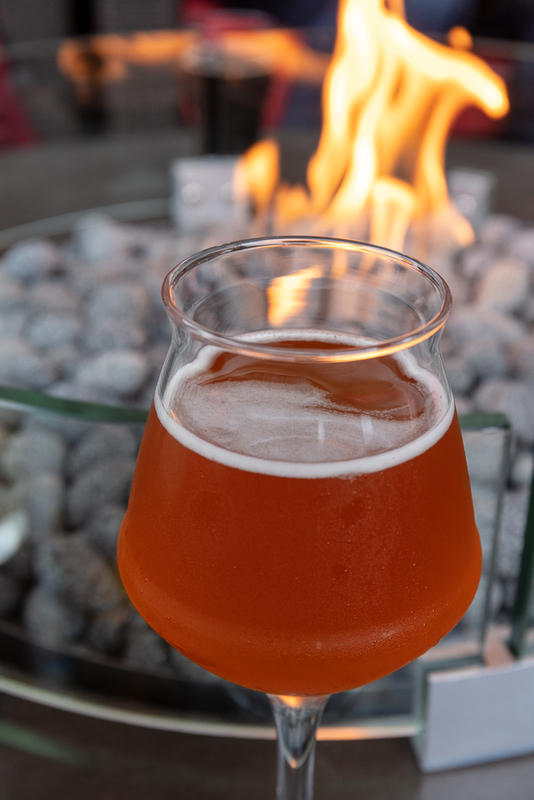 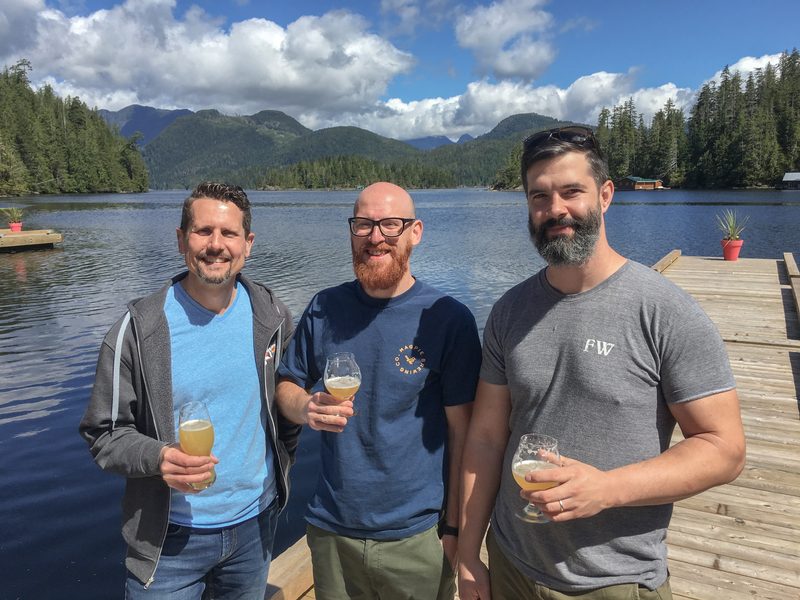 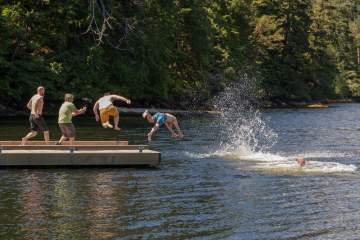 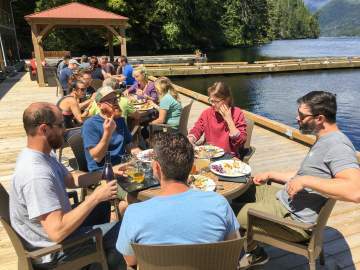 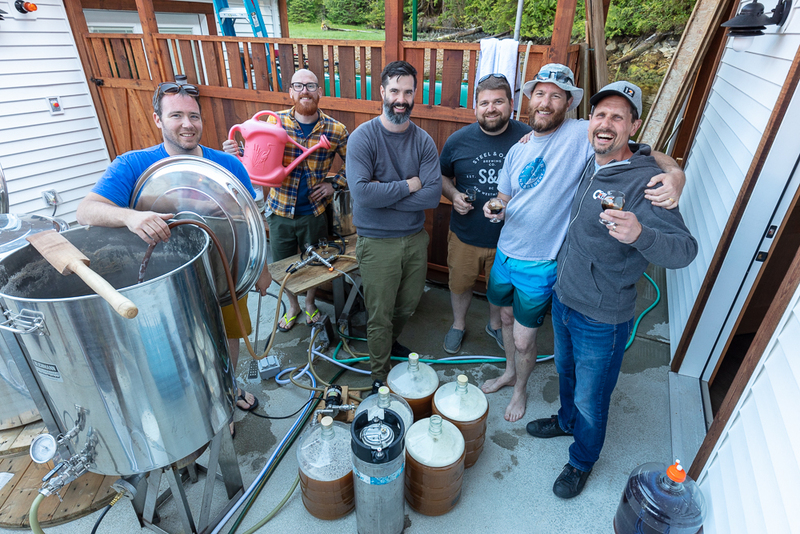 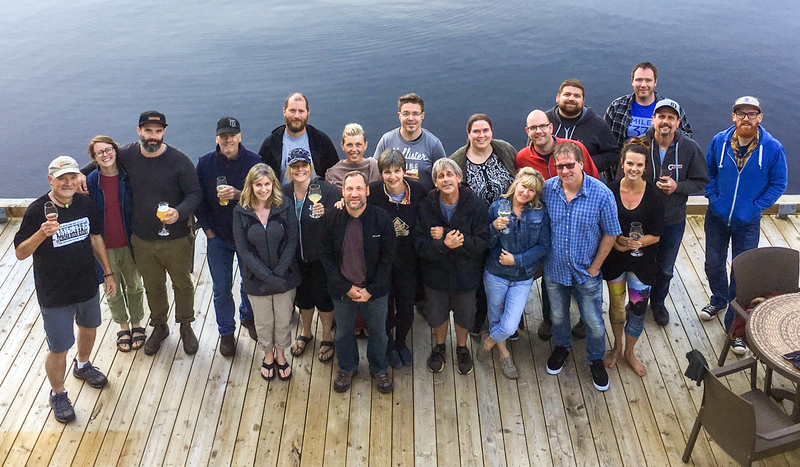 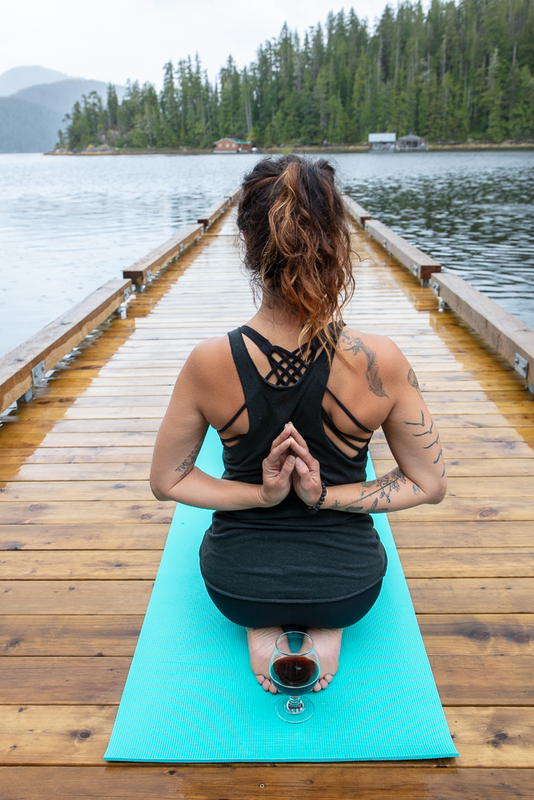 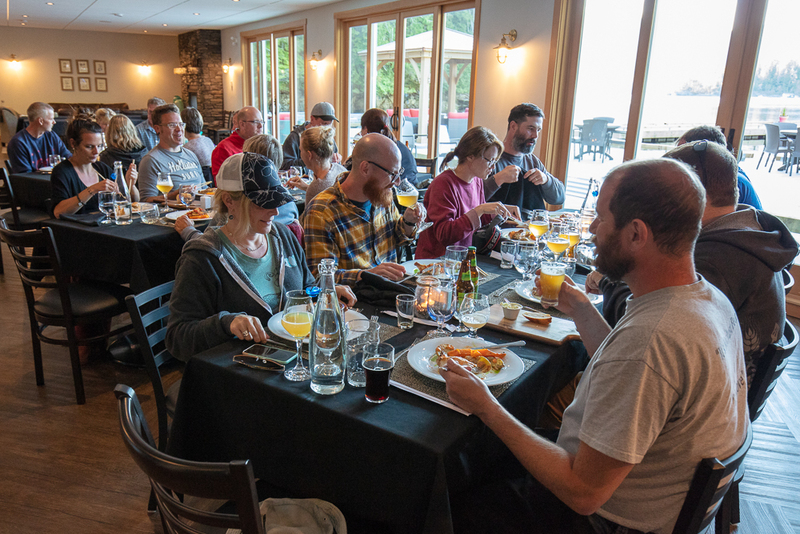 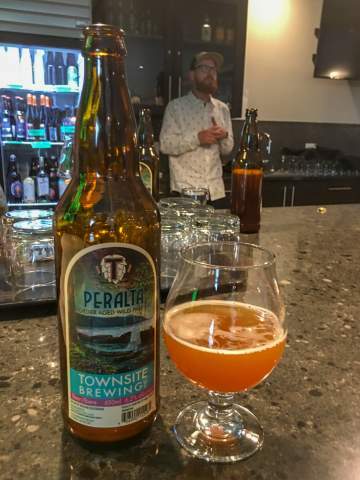 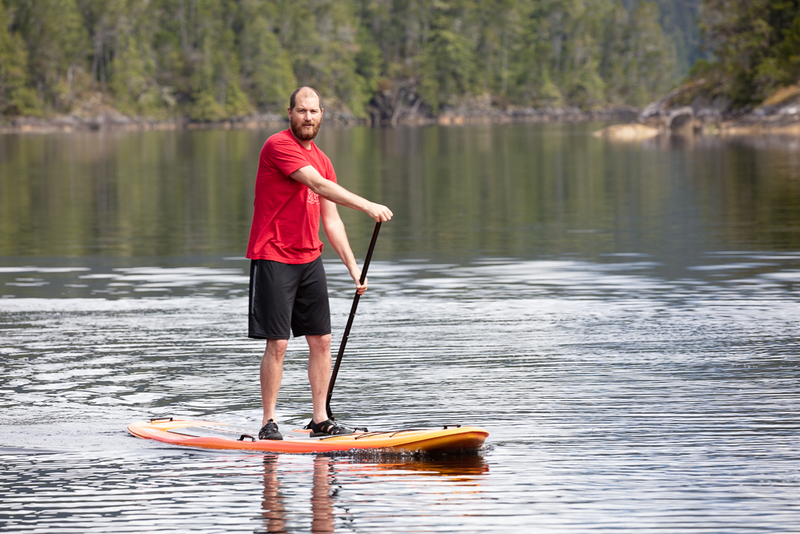 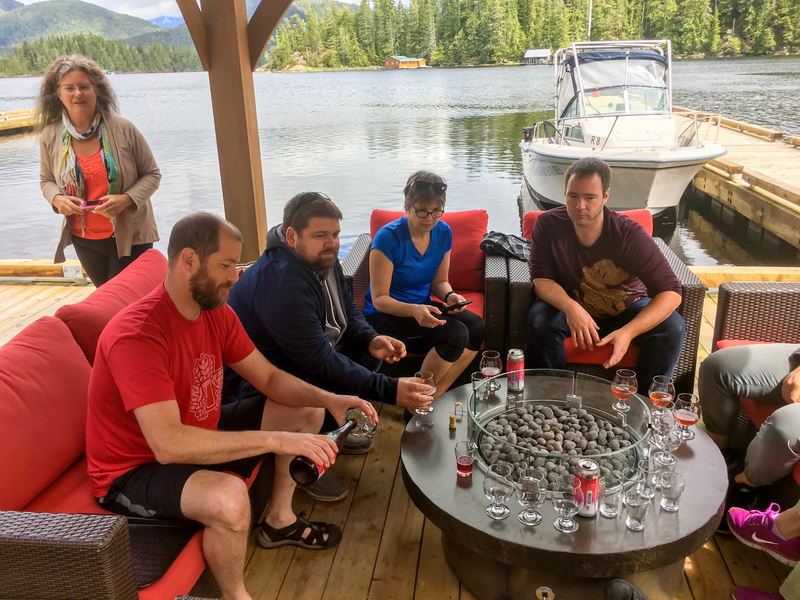 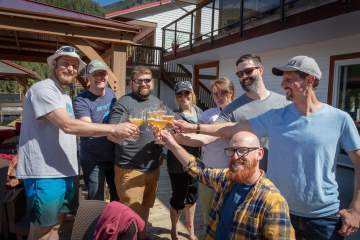 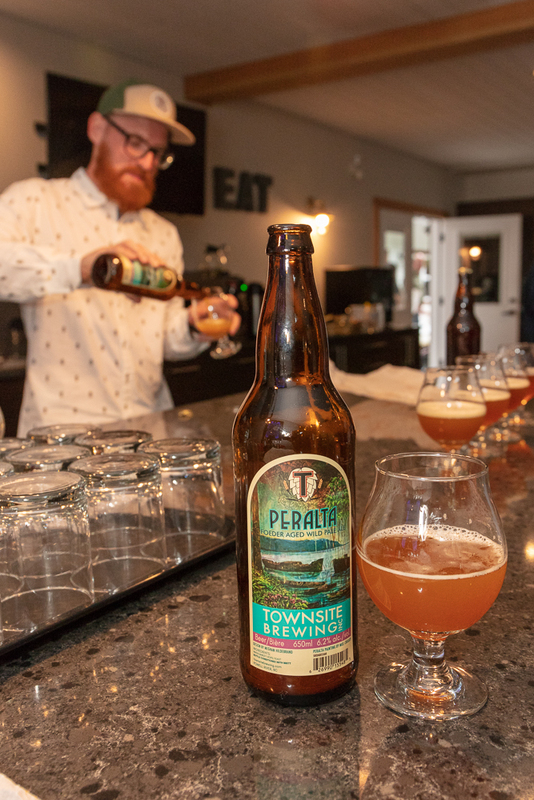 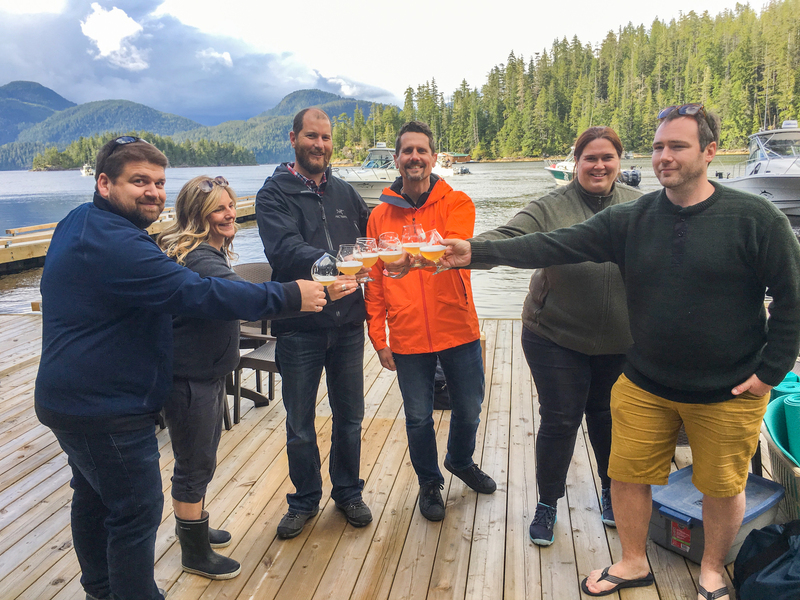 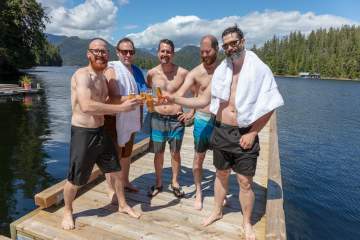 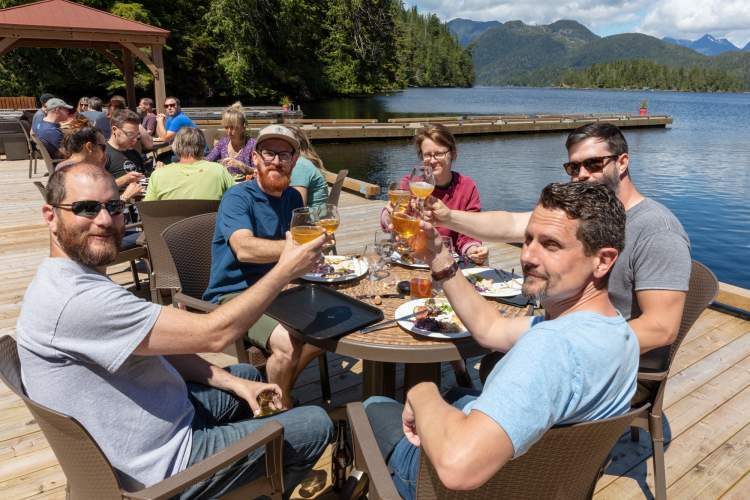 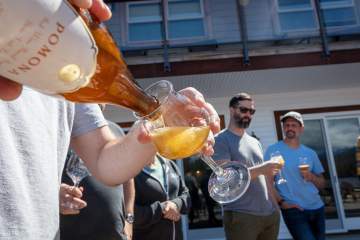 This five-day retreat encompassed many activities, including yoga, kayaking, fishing, sightseeing, and a day of brewing a collaboration beer that will eventually find its way into all the participants’ fridges. 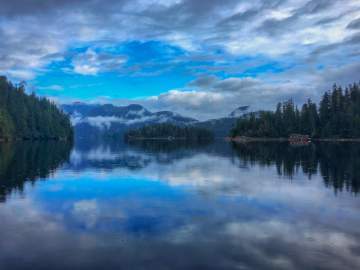 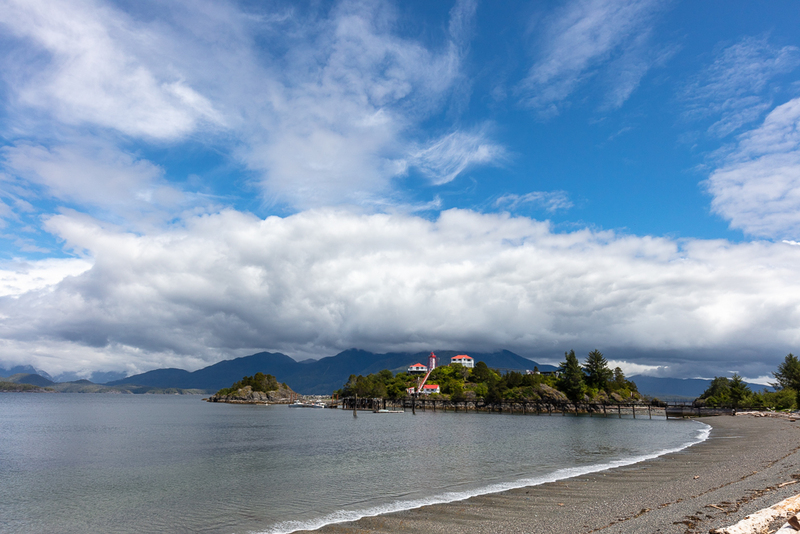 Historically, Nootka Sound/Friendly Cove is one of the most important places in the formation of British Columbia. The Spanish and British arrived around the same time in the late 1700s, and Captain James Cook’s shwip once took refuge in the Cove. 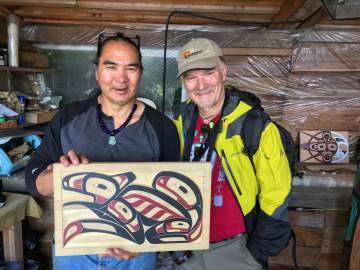 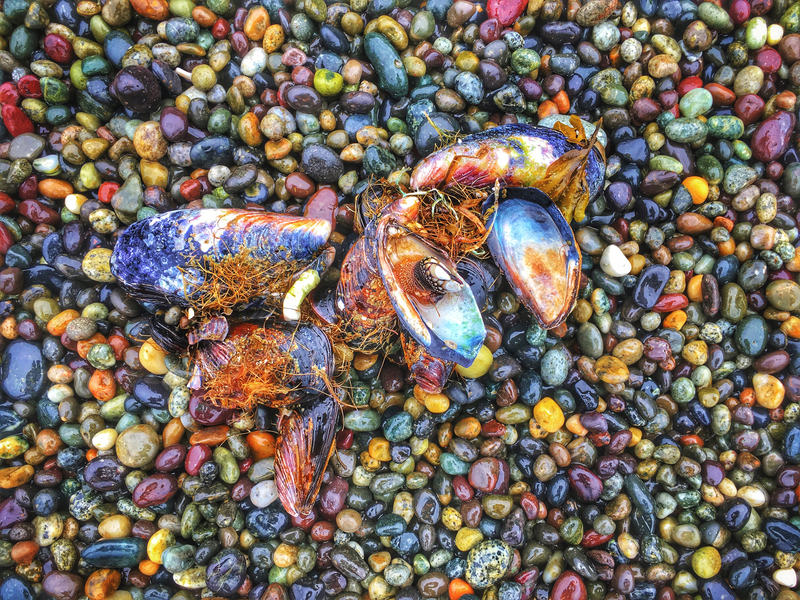 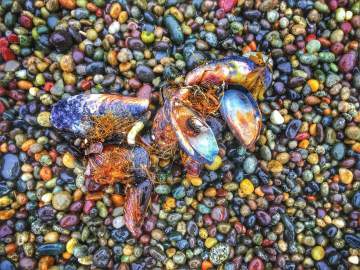 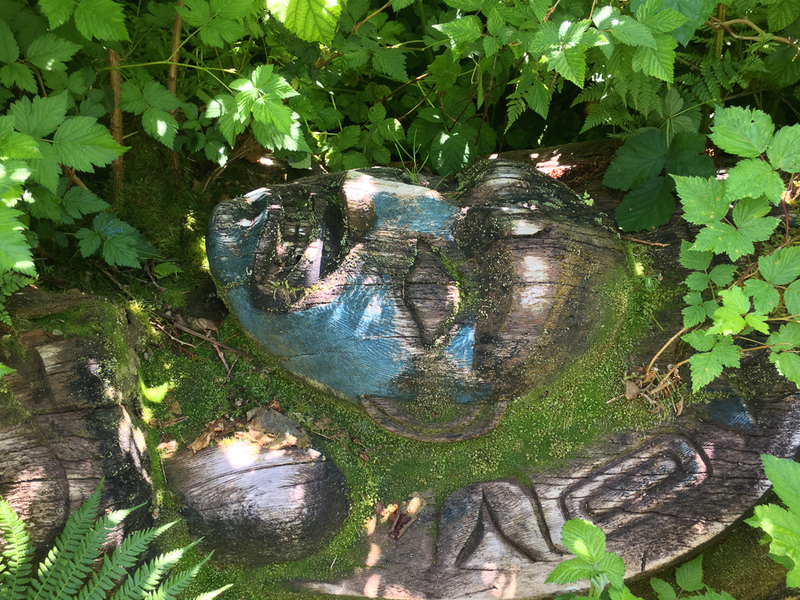 The Mowachaht/Muchalaht people welcomed them and traded otter pelts and other items. 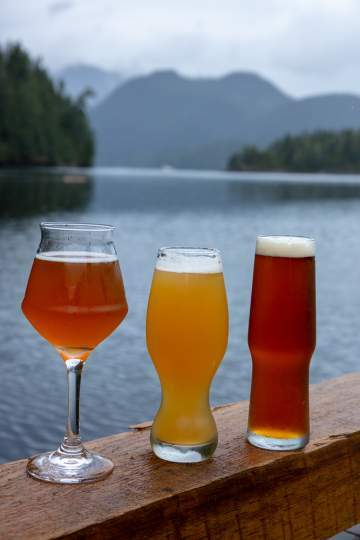 More importantly, the first beer in British Columbia was brewed at Friendly Cove in 1792. Spruce tips were used in it, providing vitamin C and preventing scurvy. 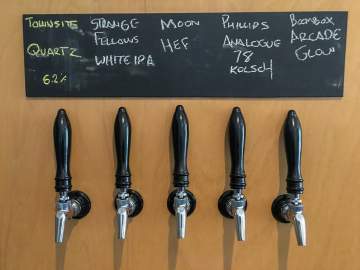 It would have tasted quite different from the hop-infused ales we are used to today. But it was beer, and the crew was happy. 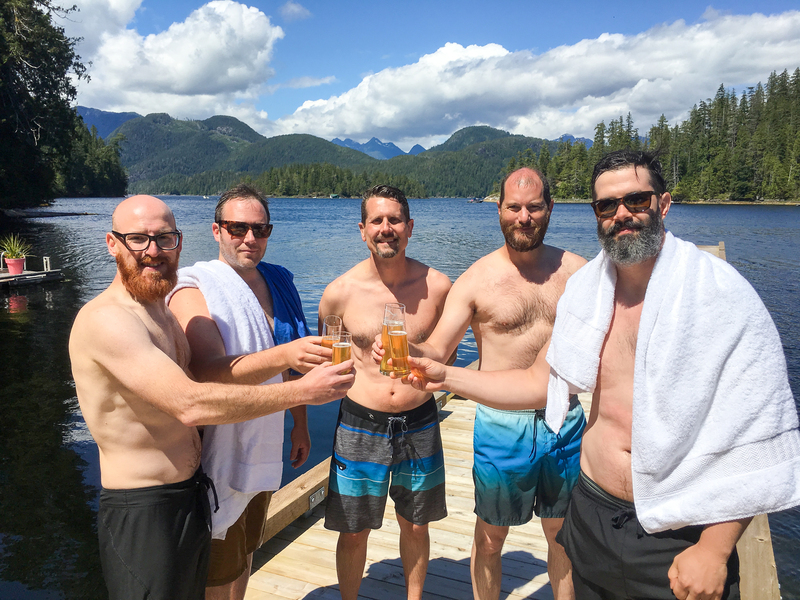 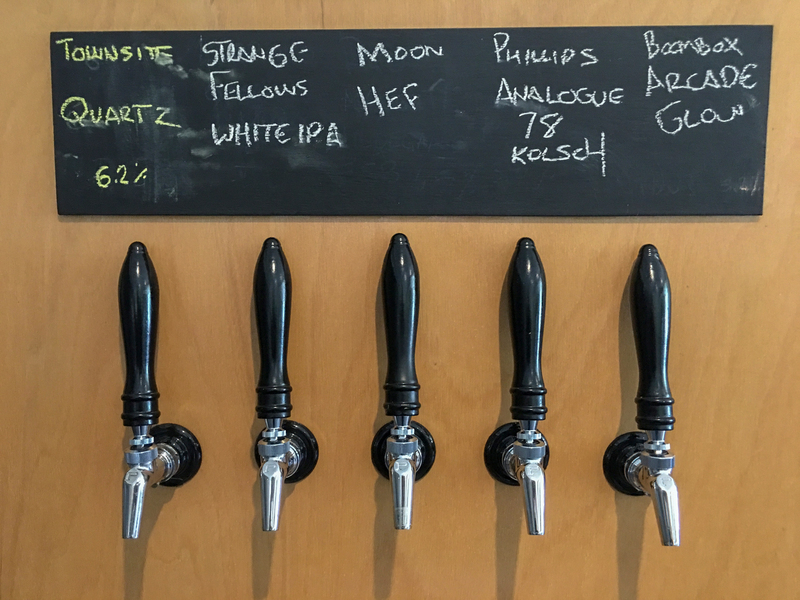 More than 225 years later, here we are at Nootka Sound with two kegerators, a selection of 18 craft beers on draft and a fridge full of bottles and cans. 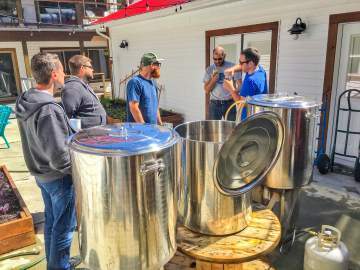 In each guest room there was a specially selected beer chilling on ice, a large cooler pack and a take-home gift: a growler-sized stainless-steel keg. 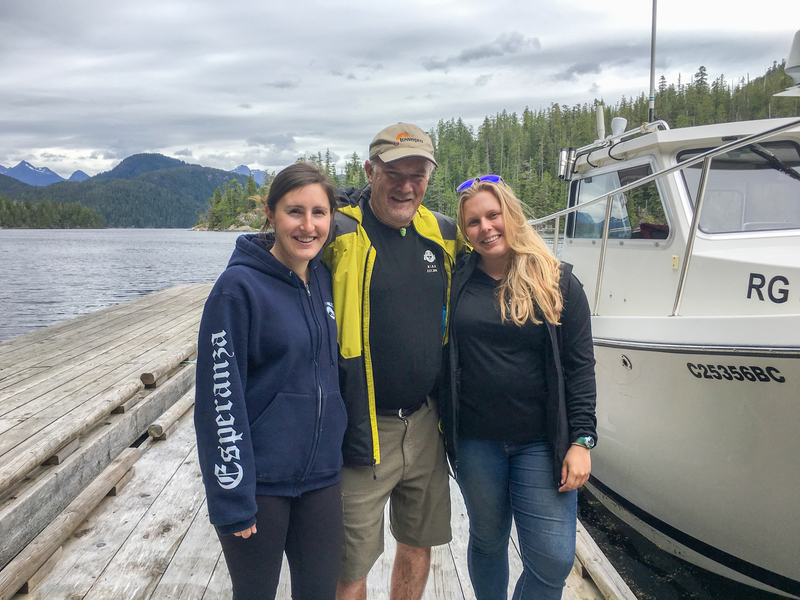 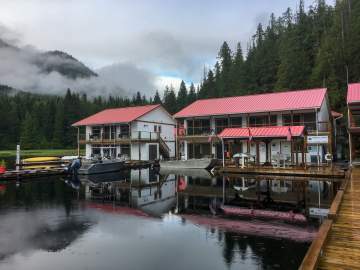 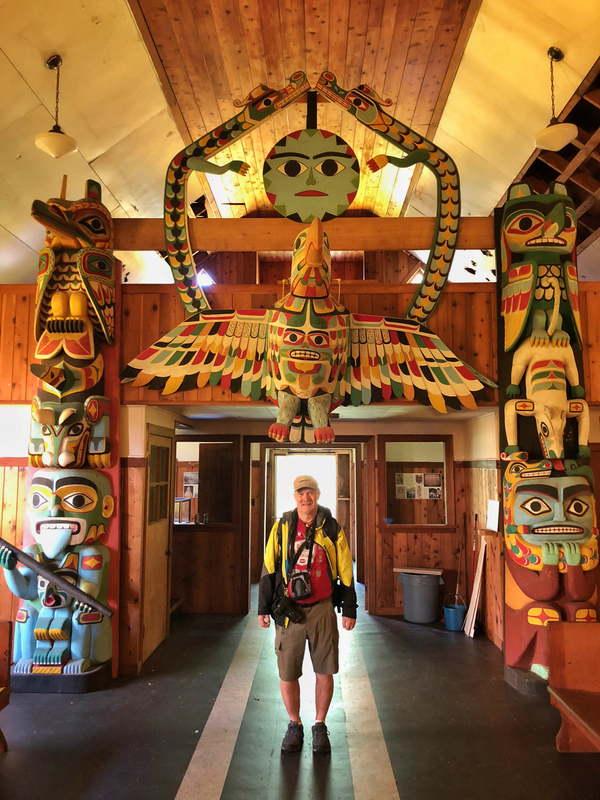 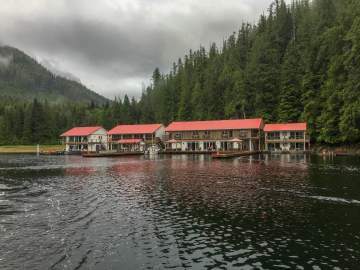 First, a chartered bus took us two hours west from Campbell River via Gold River on a logging road heading towards Tahsis, arriving at Nootka Wilderness Resort. 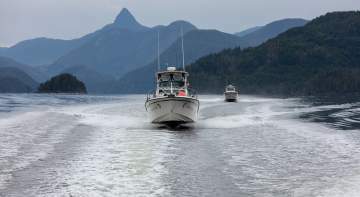 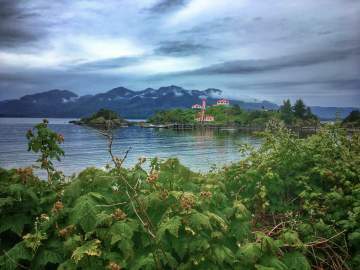 Then a thirty-minute high-speed boat ride delivered us to the floating Nootka Sound Resort. Here, the warm, friendly staff greeted us by name and escorted us to rooms on one of the four floating barges. The view, looking north, is both expansive and gorgeous. 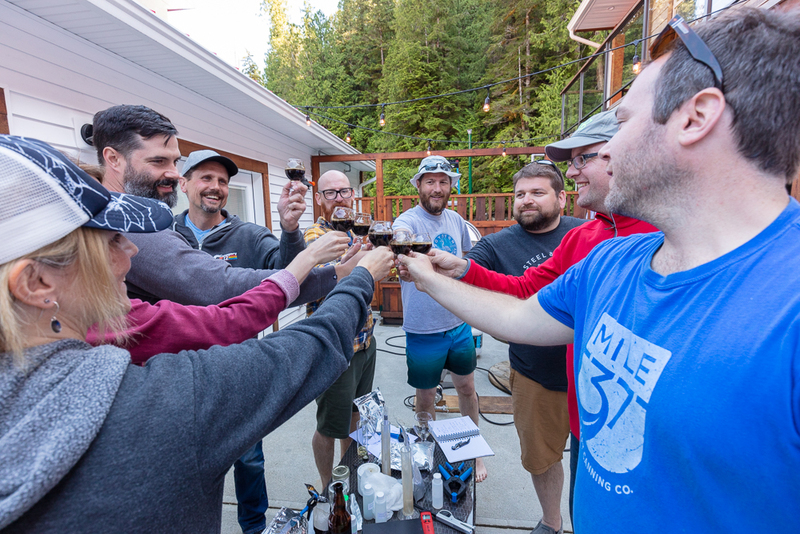 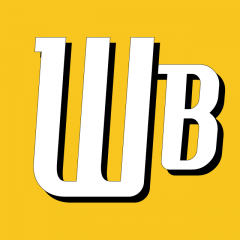 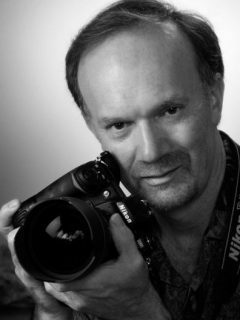 50% Deposit – Balance due May 9, 2019.